Beth confirmed that the shock jock contemplated ending his radio show when Robin got ill.
Mrs. Stern also talked about the couple's other family, a litter of kittens they’re fostering through North Shore Animal League. “All the shelters are overpopulated, so Howard and I grab a litter, take them home, Howard names them and talks about them on air… people are sending in applications to adopt," she said. Not ready to adopt a kitten? 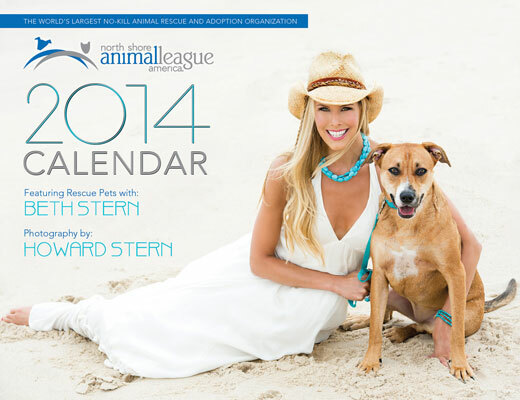 Help raise money for homeless animals by purchasing a copy of Beth and Howard’s calendar. Visit AnimalLeague.org for more information.